North Uist Medical Practice » GP partner wanted. North Uist can offer you all this and more. Remote General Practice in one of the most beautiful landscapes imaginable, but with access to an airport 30 minutes drive away, and 2 different ferry links to the mainland. A paradise for bird watching, surfing, windsurfing, kayaking, walking and sailing – there is an opportunity here for a complete change in lifestyle. You would be joining a welcoming practice with genuinely friendly staff who get along well, and where you could make a real difference to the health and well being of the community that you live in. Hours can be flexibly arranged with the right individual. Salaried or partnership options would be considered. • 15 min appointments, 2 hour long surgeries. • OOH care is NOT mandatory for this job. You can earn extra in the local OOH service if you wish. • Modern Health Board owned Primary Care Centre. • Outstanding unspoilt landscape with beautiful deserted beaches. • Superb local schools with small classes and bilingual culture of Gaelic/English. • Perfect place to raise kids. • Incomparable opportunities for outdoor pursuits. • Competitive package with good terms and conditions. Watch the videos…. view the pictures…. and take a leap. A short video that I have put together showing some of the attractions of Uist life. You don’t have to enjoy surfing / diving / kayaking / sailing/ hill walking to live here – but if you are interested in trying any of these activities then I can help! 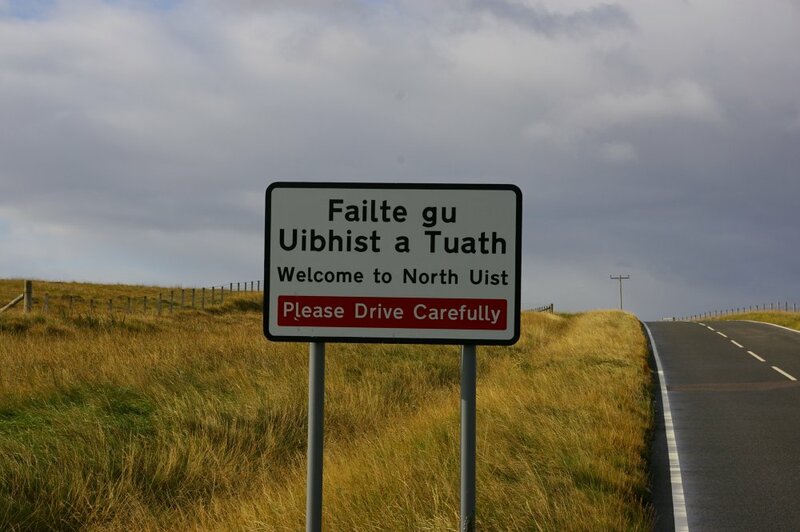 Click the sign above for a gallery of pictures taken in Uist by the doctors here. Information: Dr Gerry Wheeler, North Uist Medical Practice, Lochmaddy, Isle of North Uist, HS6 5AE.